So how's everyone doing? I hope you guys are doing great. I should have put up this giveaway last week, but I was not able to do so. So many things to finish in grad school, yet so little time. Sigh, I wish I could have more time to do things that I want to do. Anyway, it's giveaway time! 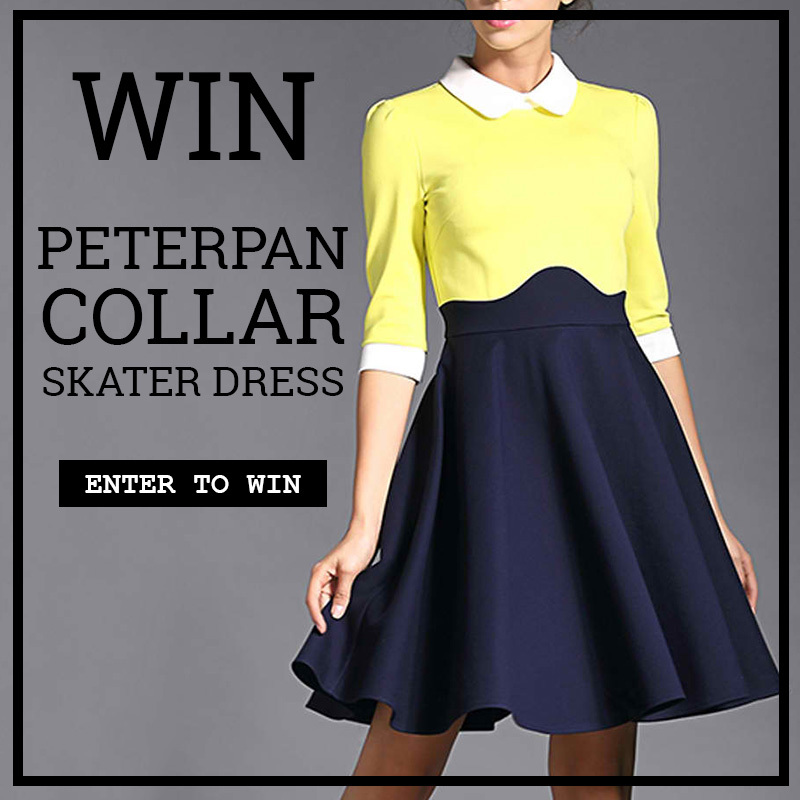 Today's up for grab is a Choies peterpan collar skater dress worth $66.99 and only one lucky reader will win. All you have to do is follow the Gleam widget below and be entered for a chance to win. This is a worldwide giveaway and will end on November 5, 2015, 11:59pm (Philippine standard time). Goodluck! This dress is so charming! You have excellent taste Charlotte! That is so cute! You always have the cutest things on your site.